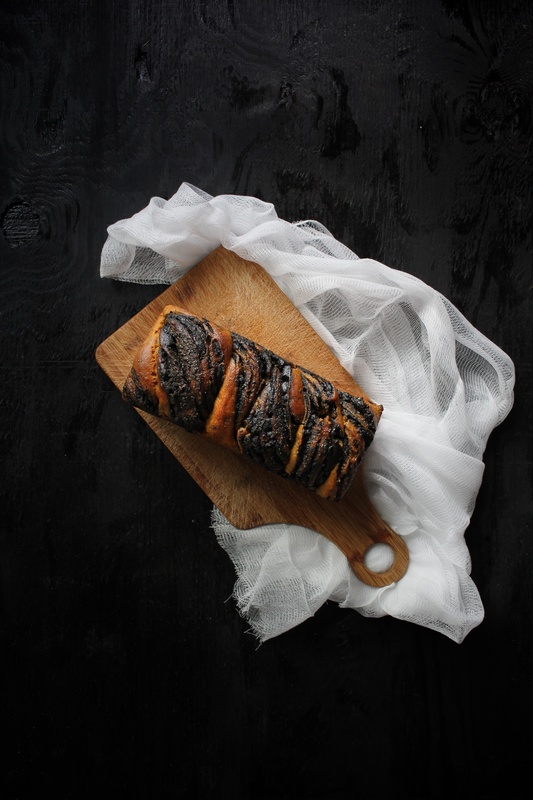 This sourdough kabocha and black sesame babka has serious wow-factor, is bursting with flavor, and super nutritious. The perfect Halloween colors are a bonus to celebrate your spooky festivities with style. Don’t let the spooky look dissuade you, this bread is really good. It has a powerful black sesame swirl and a fluffy-but-just-dense-enough crumb with the subtle tang of the sourdough and added depth from the kabocha. Not to mention colorrrrrrrr. For this recipe, I used my favorite winter squash: the beloved Japanese kabocha. It has an edible green flesh (though I didn’t use it for the bread) and smooth, naturally sweet flesh. It’s easy to roast and make your own purée, so it’s definitely worth trying. If you can’t find kabocha or don’t want to bother roasting your own, you can definitely use a pie pumpkin (or other orange-fleshed, sweet winter squash such as butternut) or some canned pumpkin purée, but kabocha is slightly drier and creamier in texture than other winter squash, so you’ll have to adjust accordingly. Still super yummy, though! To get the gorgeous swirl pattern, follow my photos for the Scarborough Fair Herb Bread. I used the same technique of spreading on the filling, rolling it up tightly, cutting through the middle of the roll lengthwise, and then with the cut side up, twisting the two logs. Then you get nice, even distribution of filling. And it’s so pretty! Now let’s get to the recipe, shall we? In the bowl of a stand mixer, combine the milk, starter, kabocha purée, eggs, coconut sugar, and salt together and whisk to combine. Switch to the dough hook attachment and add the all-purpose flour and 3 cups of kamut flour and start the machine on low speed. Once the flour is mixed well, add more flour, 1 cup at a time, until you reach a dough that sticks to the bottom of the bowl but mostly clears the sides. It will still be quite tacky to the touch but shouldn't be runny at all. Let the dough rest for 20~30 minutes to allow the grains to absorb the liquid. After the initial rest, turn the machine back on to low speed and let the dough knead for 10~12 minutes until the dough is very elastic. Take it out of the bowl and knead by hand a few times. Shape it into a smooth ball and place it back in the bowl. 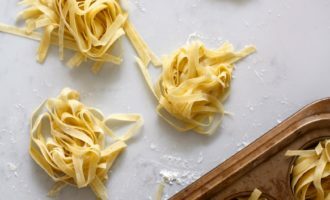 Cover loosely with a heavy, damp kitchen towel or piece of plastic wrap and let rise in a warm, draft-free area in your kitchen for 6~12 hours until about double in size. Meanwhile, make the filling. Place the sesame seeds, coconut sugar, and salt in the bowl of a food processor or pitcher of a high speed blender. Pulse a few times until the sesame seeds resemble (a very black) coarse cornmeal. Remove 1 cup of the mixture, add cardamom if using, and set aside. Add a tablespoon of avocado oil to the blender or food processor and run on medium speed until the seeds release their oils and it turns into a thick paste, scraping down the sides as needed. The paste won't be spreadable like peanut butter, but will be slightly crumby. Set aside. Generously butter 2 9x4 inch loaf pans and set aside. Once doubled, scrape the dough out of the bowl onto a lightly floured counter. Cut the dough in half and roll one piece into about a 12x14 inch rectangle, with the longer side closest to you. Take half of the Sesame paste and distribute evenly on the surface of the dough, leaving a 1 inch border. Then take half of the sesame powder and sprinkle evenly over the paste. Roll the dough up tightly and pinch the seam shut. Carefully slice down the middle of the length of your roll and turn so the cut side is facing up. Cross the two cut sides repeatedly until you have a twisted rope. *** Tuck the ends under slightly, and place the rope into your prepared loaf pan. Let rise in the pan for about 2 hours or until doubled in size. 30 minutes before baking, preheat the oven to 350°F. Once the loaves have doubled, whisk the egg and water together for the egg wash and brush over the top of the bread. Bake in the preheated oven for 45 minutes, until an instant-read thermometer inserted into the middle reads 200°F. Let cool slightly before removing from the pans, and let cool completely before slicing. These loaves will last up to 2 days on the counter (if they don't disappear before then), and freeze well for really lovely and unique french toast for another day. 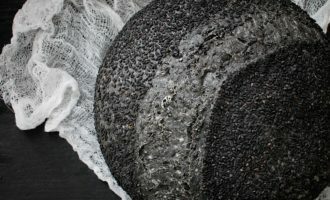 **You can buy them roasted at any Asian grocer, but if you're buying raw black sesame seeds, place them in a large skillet in a single layer over medium heat and toss frequently until barely fragrant and immediately take off the heat. Repeat in batches until all of the seeds are toasted.